Many of us don’t consider the immediate and staggering financial consequences that can result from a diagnosis of breast cancer. Yet countless patients in the U.S. are suddenly confronted with insurmountable bills at an already difficult and stressful time. By providing patients in need with direct financial assistance BCEAF is able to quickly and compassionately ease their burden. It is our belief that even small gestures of support can be the jumpstart a patient needs to fight back against their illness. 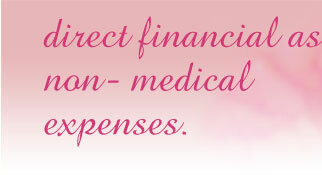 Patients with financial needs are referred to the Breast Cancer Emergency Aid Foundation by nurses and social workers at local hospitals and cancer centers. Requests for Aid are reviewed and carefully considered by a grant committee. Each request is evaluated based on pre-established criteria including need and the availability of funds. Except in unusual circumstances, funds granted are paid directly to the service provider (e.g. the utility company), not to the patient. Many of us don’t consider the immediate and staggering financial consequences that can result from a diagnosis of breast cancer. Yet there are countless breast cancer patients in the U.S. who are suddenly confronted with insurmountable bills, at an already difficult and stressful time. Many patients are unable to work during treatment. Other’s lack medical insurance. And yet others, who were barely making ends meet before the diagnosis, can become quickly overwhelmed. As we look forward to doubling our reach in 2014, we ask again for your help. In lieu of yet another social event, we rely on our website and outreach letter as our primary fundraising vehicle. Patients with financial needs are referred to the Foundation by nurses and social workers from local hospitals and cancer centers. Once referred, patients may fill out an application which is reviewed and evaluated by a grant committee based on pre-established guidelines. Funds are paid directly to the service provider, not to the patient. Those with fewer resources will receive priority consideration and only one request per calendar year will be filled. 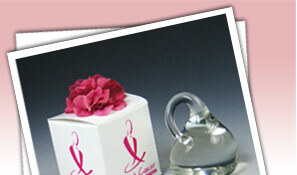 The BCEAF Glass Drop Charm is delightfully packaged and makes a wonderful favor for weddings, bat mitzvahs and showers. Drops are $20. Contact us at email@bceaf.org to place an order or purchase them directly from one of our many retail partners. 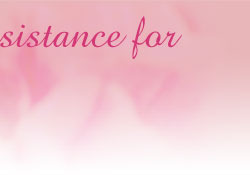 The Breast Cancer Emergency Aid Foundation is an organization run by volunteers and fueled by generosity. Please contact us if you are able to volunteer in any capacity. All help is so greatly appreciated. © Copyright 2008-2014 www.Bceaf.org. All Rights Reserved.